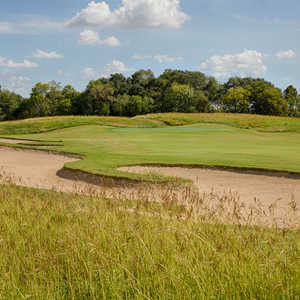 Falcon Point features a Bruce Devlin and Robert Von Hagge design that is known for its immaculate bent-grass greens and insanely difficult course layout. 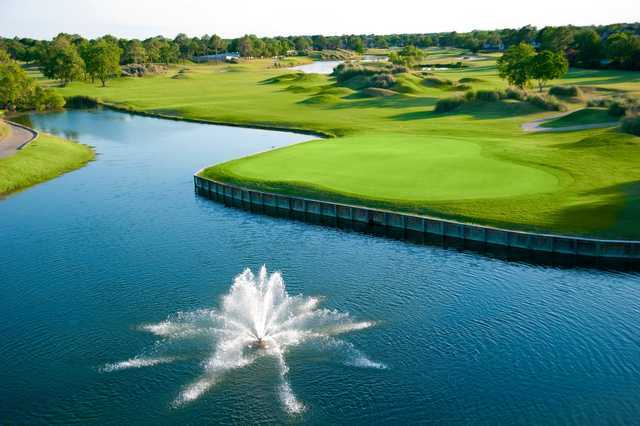 The duos links-style design rolls through Katy's countryside with water in play on virtually every hole, thanks to the 10 interconnecting lakes that were built for flood control. No. 5 is the signature. 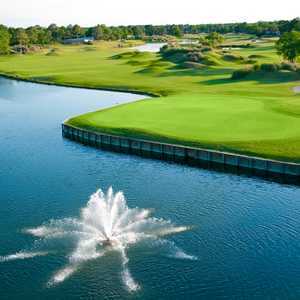 Not difficult due its 475-yard length, it's tricky because water is in play on every shot and is especially present on the approach shot, with an elevated green covered in trees and water in the front and to the side. On the back side, Nos. 17 and 18 present a great pair of finishing holes. 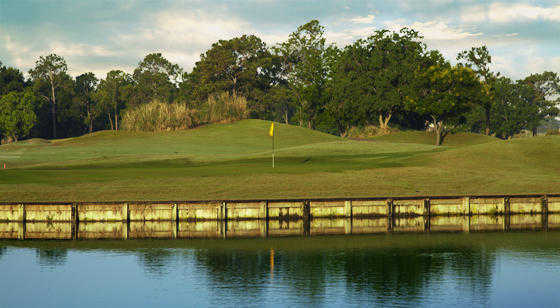 The first is a 163-yarder into a green protected left by water and bunkers to the right. The 18th is the most difficult on the course: a 429-yarder that requires a tee shot over water and an approach into the wind into an elevated green. Getting there : From I-10 west, take the Katy/Fort Bend County Rd. exit and drive south to the course. The clubhouse is on the right side of the road.